Richard Haass: 'I Did Not Believe In The Iraq War' Haass worked for Secretary of State Colin Powell in the Bush administration, but in a new book, he says he was 60 percent against the Iraq war. Despite his objections, Haass says he stayed in the State Department to fight smaller battles. 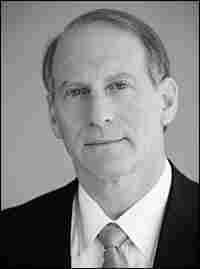 Richard Haass, the current president of the Council on Foreign Relations, worked for Secretary of State Colin Powell in the Bush administration. Haass says he was 60 percent against the Iraq war. But he stayed in the State Department so he could fight smaller but significant battles. After the Sept. 11, 2001, attacks on the World Trade Center, President Bush vowed to rid the world of evildoers — namely the Taliban, al-Qaida and Osama bin Laden in Afghanistan. But conventional wisdom holds that they got away because the U.S. turned its attention to invading Iraq. 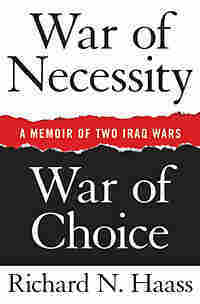 That's just not true, says Richard Haass in a new book, War of Necessity; War of Choice. Haass, who is now the president of the Council on Foreign Relations, was Secretary of State Colin Powell's director of policy planning at the State Department during the Iraq war. He says the Bush administration was instead pessimistic about any kind of success in Afghanistan. 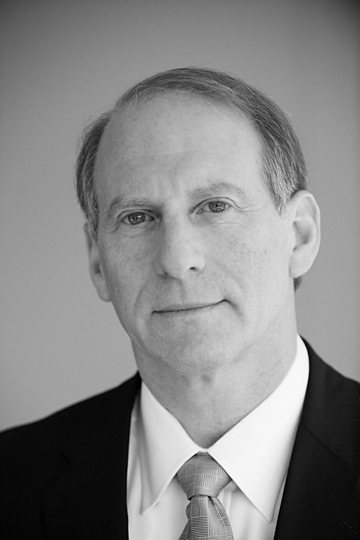 "They really thought that no investment there would pay off," Haass tells NPR's Robert Siegel. "I remember sitting at the National Security Council meetings, making the case that we could do more, and it was essentially no sale. It was seen as helpless and as hopeless." Haass says the Bush administration went into Iraq with a small military force because officials thought that the mission there was going to be easy. "If you recall, they did not follow the "Powell doctrine"; they went in with a very small number of troops. They did very little planning," Haass says. "So it wasn't as if they were saving their resources for a rainy day. They actually thought Iraq was going to be quick and easy." The Bush administration wanted to simply go after al-Qaida; it didn't want to nation build, Haass says. Haass says he disagreed with the policies during his time at the State Department. In his book, Haass says he was 60 percent against going to war in Iraq, but despite that, he did the right thing by not resigning. He would have resigned, he says, if he had known for sure that Saddam Hussein did not have weapons of mass destruction and that the president had decided to invade anyway. The other reason to resign, Haass says, is if "a series of issues goes against you." "But I decided to stay, Colin Powell decided to stay, because we thought we could still have influence on some of the important — but secondary — issues by staying inside," Haass says. Haass says it's painful to hear the list of all the policies that he was against — including the Iraq war and U.S. policy on Afghanistan. "I believed in diplomacy, I believe in multilateralism, I believe in institutions," he says. "I did not believe in the Iraq war. I thought the United States did have viable alterative policy options, and I feared by going to war, it would — to use the phrase that Colin Powell and I bandied about — 'Take the oxygen out of the room on American foreign policy.' So yes, on virtually every foreign policy issue, I found myself on a very different page from my colleagues." Haass says he stayed to fight smaller but significant battles, until he "finally called it a day." "It wasn't simply that I got tired of being called an enabler when I got home at night, but also too many days I would spend arguing with my colleagues against policies," Haass says. "And then that night, having to go on this or that radio or television show, defending the very policies I had argued against. Those take a lot out of you day in and day out." As for what the U.S. government can do to fix the system, Haass says that policymakers need to "be aware of the assumptions and then to challenge them. 'Cause otherwise, assumptions, it's interesting how they pervade everything you see, everything you interpret. They can really undermine logical thinking."